Pineapple and yogurt are both so good for you! Put them together and we have a wealth of health. Pineapple can add so much nutritional value to your diet and this topical fruit is readily available all year-long for your enjoyable. It’s natural sweet but slightly tangy taste is filling and a natural healthy sugar that is delicious with many health benefits to help you on your journey to a healthy and green lifestyle. Low in calories – great if you are watching your waistline or trying to lose weight. It a great way to fill up between meals. It contains no saturated fats or cholesterol. 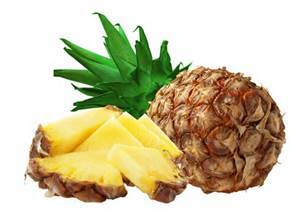 Pineapple is rich source of soluble and insoluble dietary fiber like pectin. Contains a proteolytic enzyme bromelain that digests food by breaking down protein. Bromelain in pineapple has some amazing qualities – is known for its pain relieving qualities because of its anti-inflammatory properties. It also has anti-clotting and anti-cancer properties. Bromelain is beneficial for many inflammatory skin problems including acne, rosacea, dermatitis, eczema, and psoriasis. It helps builds a strong skin defenses against infection. Studies have shown that eating pineapple on a regular basis helps fight against arthritis, indigestion and worm infestation. Has been linked to improvement in asthma. Fresh pineapple is an excellent source of Vitamin C which is a wonderful antioxidant. Vitamin C boosts the immune system, helps keep those nasty free radicals from invading the body so you can stay healthy and protects your body against viruses. Pineapple is rich in B-complex group of vitamins like folates, thiamin, pyridoxine, riboflavin and minerals like copper, manganese and potassium which is all essential for good health. Directions: Combine all ingredients thoroughly. Serve with fresh organic berries of your choice, garnish with toasted organic coconut or enjoy just plain. This is a delicious dessert, snack or great even for a quite lunch. Organic yogurt or raw yogurt are filled with probiotics that are vital for a healthy gut and immune system. So enjoy this easy and simple dish. I love it and so does my husband. There are so many ways to enjoy pineapple. Its food for all ages, adults and kids alike. Bag it for your kids lunch boxes, use it in smoothies, slice it on top of organic oatmeal or quinoa, make a delicious dessert with it. It’s truly one of Nature’s miracle fruits that is filled with natural healing power to fight disease and help us on the road to good health. Shared On TUESDAYS WITH A TWIST! Shared On FOUR SEASONS BLOG HOP! Shared On HAPPINESS IS HOMEMADE LINK PARTY! Shared On LOU LOU GIRLS LINK UP PARTY! Glad to be part of Four Seasons Blog Hop! Have a healthy happy day! Sounds awesome! 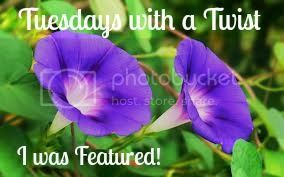 I am featuring this post on my blog today at Tuesdays with a Twist. 🙂 Thanks for sharing with us. My husband loves pineapple! Thanks for your homeacre blog hop submission 🙂 Feel free to stop by this week and submit another! Thanks for hosting the Home Acre Blog Hop. Glad to be part of it. Have a healthy happy day!